The Alabama Moving Image Association is a federally recognized 501(c)(3) nonprofit organization dedicated to encouraging filmmaking in Alabama and building audiences for independent film. AMIA produces the nationally recognized Sidewalk Film Festival, the SHOUT LGBTQ Film Festival; hosts the Sidewrite Screenplay Writing Competition, and Teen Filmmaking Challenge; organizes quarterly filmmaking competitions and monthly events for filmmakers, and holds other events that create interest in and enthusiasm for independent film. 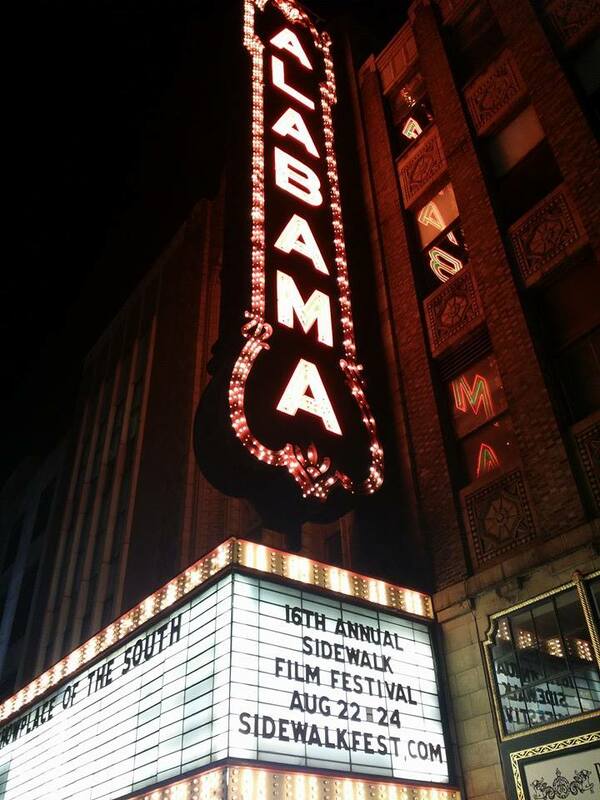 The 16th annual Sidewalk Film Festival, a celebration of new independent cinema in downtown Birmingham. Since its debut in 1999, filmmakers from across the country and around the world have come to Birmingham to screen their work at Sidewalk and have been thrilled to discover fresh, enthusiastic crowds eager to devour new independent cinema. With multiple venues located within Birmingham’s historic Theatre District (featuring the fully restored Alabama Theatre, (a 2,200 seat movie palace built by Paramount in 1927), spontaneity rules the schedule of Sidewalk attendees. Low-priced weekend passes provide easy access to Sidewalk venues, encouraging attendees to seek out new films and sample programming they may not otherwise see. The result is a crowd rich in diversity and united in a hunger for new film. From the Filmmakers’ Reception and the Filmmakers’ Retreat to a myriad of breakfasts, field trips, parties, and galas, Sidewalk connects filmmakers. The atmosphere at Sidewalk is electric with creativity and collaboration as filmmakers and film-lovers mix and mingle between screenings or participate in panel discussions.